Threading is more precise and the hair grows back finer and slower. It’s a sanitary, and painless way of removing unwanted facial Hair. The technique is also called as khite or fatlah, which are both Arabic words for threading. It involves twisting a piece of thread, usually cotton, into a double strand. This double stranded thread is used to pick up a line of hair and then remove it, creating a very clean, precise hairline. 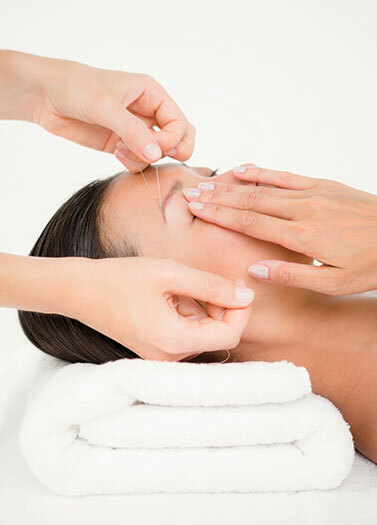 Threading is a technique used for both Men And Women. Brow shaping for men will eliminate uni-brows and side burn shaping.